An Elk Grove man is being held at the Sacramento County Jail after he allegedly fled a vehicle accident that included injuries. 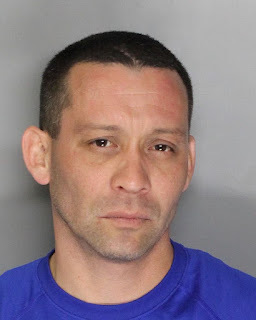 Shortly before midnight on Saturday, 40-year old Chauncey Pennell (pictured above) was operating a vehicle that was involved in a collision with another vehicle near Bruceville Road and Elk Grove Boulevard. Pennell fled the scene and did not stop to render assistance to the injured occupants who were later transported to the hospital for medical treatment. A license plate belonging to Pennell's vehicle was located at the scene of the collision. Officers responded to Pennell's residence and located the vehicle that had been involved in the collision parked in front of the residence with fresh damage. Pennell was contacted inside the residence and was arrested. Pannell is not eligible for release and is scheduled for arraignment Tuesday afternoon. Ban h i m from driver another vehicle for life.